The National Organising Secretary of the Peoples Democratic Party, Col. Austin Akobundu (retd. ), stated this while handing over the nomination form to the party’s governorship candidate, Prof. Kolapo Olusola, in Abuja on Wednesday. He said the candidate must also give the same form to his running mate, warning that both candidates must submit their forms to the national secretariat of the party latest by Monday. 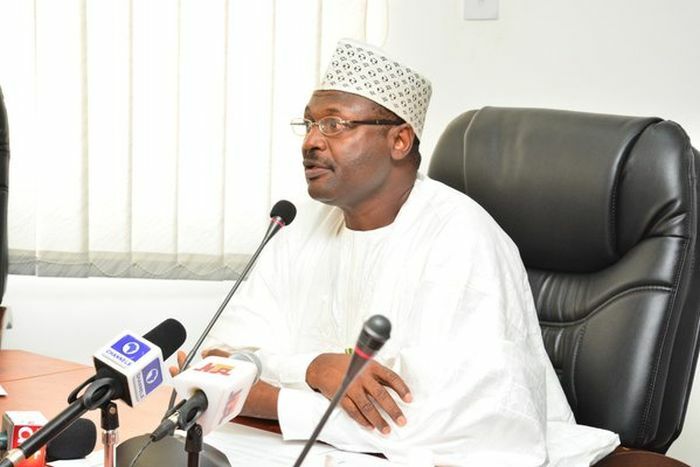 He said, “The Independent National Electoral Commission has given us May 15 deadline within which all the political parties must submit the names of their governorship candidates. “Therefore, you (Olusola) must submit your form and that of your running mate to us latest by Monday. Speaking at the event, Olusola noted that he was ready and prepared for the election. He also said heaven had sanctioned that the PDP would continue to rule in Ekiti State after the expiration of the tenure of Governor Ayodele Fayose. The PDP Deputy National Chairman (South), Mr. Yemi Akinwonmi, while presenting the certificate to the party’s governorship candidate on behalf of the National Chairman, Prince Uche Secondus, described the primary that produced Olusola as credible, transparent and unchallenged. Meanwhile, the All Progressives Congress has reaffirmed Friday as the date for the party primary to elect its candidate for the Ekiti State governorship election. The National Publicity Secretary of the party, Mallam Bolaji Abdullahi, in a telephone interview with our correspondent, in Abuja, on Wednesday, said the party no longer had the luxury of time. Abdullahi said this while reacting to a question on whether the party was considering a request for a shift in date for the exercise. The party leadership met for over three hours with the Chief John Odigie-Oyegun-led National Working Committee of the party at the party’s national secretariat, in Abuja. After the meeting, one of the aspirants, Ajayi Olowo told reporters that he and his colleagues appealed to the NWC to shift the date of the primary to Sunday because they needed time to get back to their constituencies. Olowo further explained that the leadership of the party had assured them that some members of the panel would be replaced because they voiced their lack of confidence in the current panel. Most of the 33 aspirants contesting the primary were present at the meeting.